Our three stages host premieres of Polish works, both classical and contemporary. The Jubilee programme features dramas and works by Polish authors to celebrate the 250th anniversary of The National Theatre, the first public theatre to stage plays in the Polish language. Master Thaddeus based on Adam Mickiewicz’s epic poem, dir. Piotr Cieplak (May 2016). From April 2015 to March 2016, in a series of readings MASTER THADDEUS - All the Words directed by Piotr Cieplak, all the twelve books of the Polish national epic will be presented. The event will be concluded by the special, six-day premiere of Master Thaddeus in May 2016. The staging of the one of the most significant works of the Polish theatrical heritage. Subsequent stagings of Kordian on the national stage have shaped the course of the Theatre’s history. The production directed by Jan Englert reinterprets the romantic drama in the spirit of our contemporary times. Theatre Fair — IT'S ALL HUNKY-DORY! 12th September, 2015. Theatre Square (Plac Teatralny), noon-10 p.m.
An all-day, open outdoor event held in Theatre Square (Plac Teatralny) – celebrating the centuries-old presence of the National Theatre in the Polish public life. The visual installation in the space of Theatre Square is designed by Marek Grabowski. We will present the musical performances of the National Theatre acting company, as well as the artistic programme of the students of the National Academy of Dramatic Art in Warsaw, conceived and directed by Andrzej Strzelecki. The programme of the Theatre Fair also includes: the reading of Book VI and VII of Master Thaddeus under the direction of Piotr Cieplak, meetings with star actors, documentary films, the presentations of theatre techniques, an outdoor exhibitions on the history of the National Theatre, an auction of stage costumes and events for children. The days’ events will be culminated by the presentation of a multimedia installation by Krzysztof Wodiczko, one of the leading Polish visual artists of international renown. The fourth edition of the international theatre festival will feature the performances of the most important national theatres in Europe, with special emphasis on the Polish repertoire to highlight the National Theatre’s anniversary season. For the third time, the directors of national theatres from different countries will meet in Warsaw to discuss responsibilities and challenges faced by contemporary national institutions. The free, open-to-the-public debate will be honoured by the presence of theatre scholars and renowned intellectuals. The National Theatres’ Meeting and the accompanying Symposium confirm the position of the National Theatre as a well-recognised European centre of the research focused on the character and role of national stages in the 21stcentury. This is the first publication of the comprehensive history of the National Stage accompanied by a wide selection of illustrations. 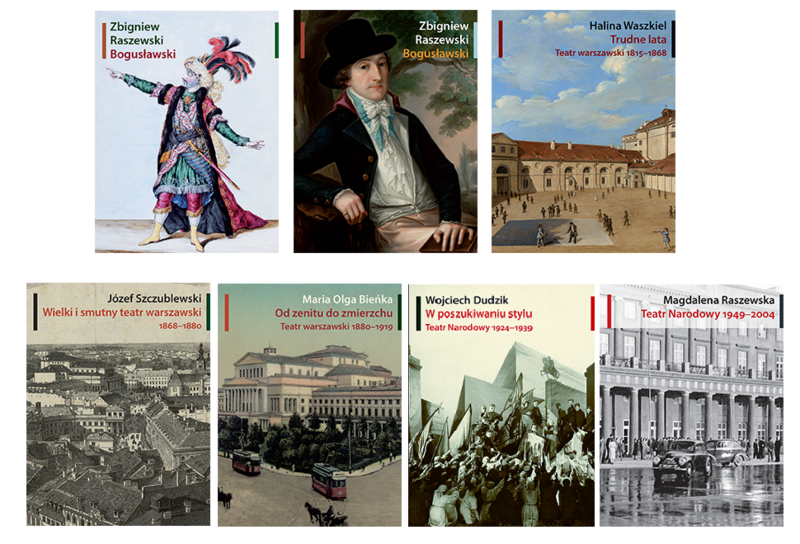 A generation-spanning series of seven volumes includes the publications not reissued for years: Bogusławski by Zbigniew Raszewski and The Great and Sad Theatre of Warsaw 1868-1886 by Józef Szczublewski, both accompanied by the afterwords commenting these already classic works in the context of the current findings on the subject. The studies written by the experts specializing in the history of the National Theatre: Halina Waszkiel, Wojciech Dudzik, Olga Bieńka reveal ground-breaking conclusions challenging conventional notions of the National Stage’s activity during successive periods. The series is to be concluded by the prize-winning book by Magdalena Raszewska, The National Theatre 1949–2004. Scientific Editors: Tomasz Kubikowski, PhD. ; Prof. Magdalena Raszewska, PhD. Reviewers: Prof. Jarosław Komorowski, PhD. ; Prof. Jan Michalik, PhD. The National Theatre’s stages have hosted many important premieres over 250 years of its history — important not only in terms of their artistic and intellectual value, but also political and social significance. In the anniversary season, renowned Polish intellectuals will deliver lectures on the greatest achievements of our Theatre. The online exhibition presents the turbulent history of the National Stage using a large selection of illustrations and audio-visual materials. It has been created as part of Google Cultural Institute project in collaboration with the Zbigniew Raszewski Theatre Institute. The exhibition explains previous generations’ ideas about theatre, tracing connections between the history of Europe and its stages. The show is held as part of the international project European Route of Historic Theatres and will travel across Europe between 2015 and 2017. Due to the 250th anniversary of the National Theatre and public theatre in Poland in 2015, the first opening of the exhibition is to take place in Warsaw, at the National Theatre. 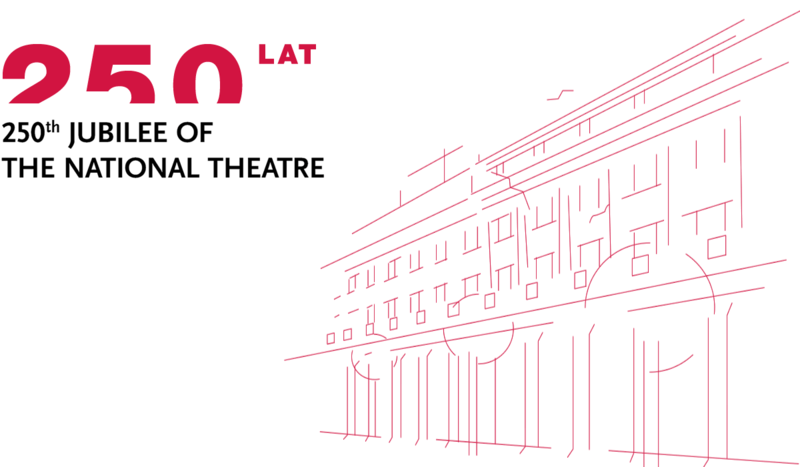 The National Theatre, along with other national theatre institutions: the Grand Theatre –Polish National Opera and The Helena Modrzejewska National Old Theatre, takes part in the special edition of the THEATRE POLAND program.